You know the drill by now. Every time Apple releases new products or updates its lineup, there’s a high-profile event held somewhere in one of California’s illustrious locations or at the Cupertino-based company’s headquarters. CEO Tim Cook usually appears onstage for the keynote and a few impressive statistics to throw around, followed by the company execs for the big reveals. 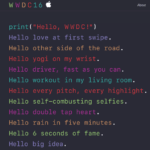 The yearly iPhone event is now well and truly ingrained in the September calendar, and the annual software-focused World Wide Developers Conference (WWDC) is held in early June, but there is usually one more event to unveil new iPads, Macs, or other wonderful new gadgets. The next one is being held on Monday 21st March at 10 a.m. PDT at the firm’s Cupertino headquarters, and features the tagline “Let us loop you in”, possibly in reference to the location of 1 Infinite Loop, or just possibly a cryptic (and not very obvious!) clue as to what might actually be unveiled. So, what can we expect to see on Monday? A new iPhone, new iPads, Apple Watch bands or Mac refreshes? Something else entirely? The rumour mill has been working over time as usual. 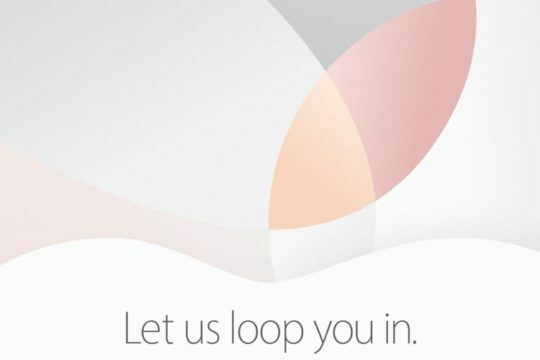 We can guarantee there won’t be a new flagship iPhone, however that’s not the whole story. Many people have bemoaned the lack of a truly up to date 4-inch iPhone, and while the iPhone 5s is still available in many countries, it’s certainly about time we saw a new small form factor device that comes with Apple Pay support (via the embedded NFC chip). 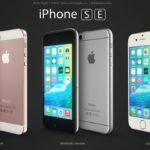 The new “new” iPhone is rumoured to be called the iPhone SE (“Special Edition”? 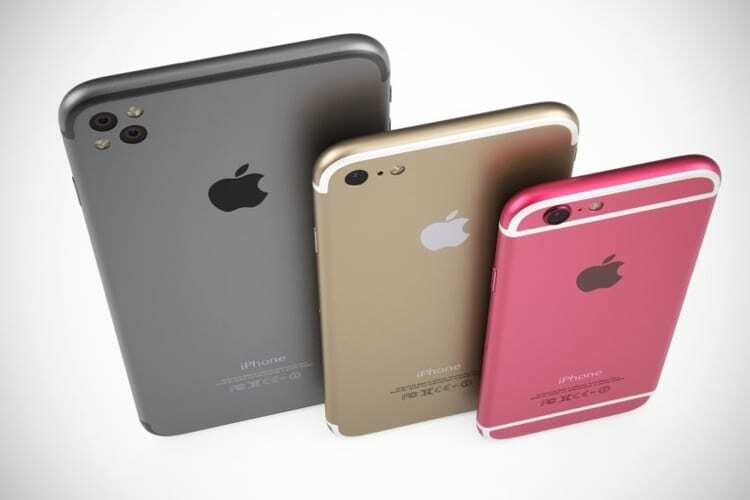 ), and is set to come with the latest A9 CPU as used in the iPhone 6s. As far as other aspects of the phone are concerned, aside from a few questionable leaks online, we don’t really know for sure, but it seems likely that Apple would want their entire current lineup to support wireless payments, feature touch ID (a certainty, if we had to bet on it), the latest camera module (and Live Photos support) as well as sporting a design more akin to the current crop of Apple devices. Why is Apple probably launching a smaller iPhone? 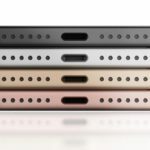 There is undoubtedly a market for a cheaper, smaller, but still fully-featured device, aimed at people that simply prefer a smaller device, as well as being more affordable and thus extending Apple’s penetration into markets like India and China, where there is still huge room for growth. That will please the analysts, who have hammered the Apple stock price over the last year or so. They can never truly be pleased, so you can expect the usual raft of complaints as soon as the event is over. However, one of the insightful comments I read recently on one of the tech sites was that a new Apple device’s success is directly linked to the amount of complaining and criticism it receives. So if that’s the case, let’s hope there’s a huge outpouring of scorn and contempt for the iPhone SE, as it will result in a sure-fire success! If a smaller, cheaper, but still capable iPhone doesn’t whet your appetite, there’s almost certainly going to be an updated 9.7-inch iPad of some form. If you recall last year the iPad Pro was launched, but the iPad Air was sadly neglected, making it ripe for an updated model. 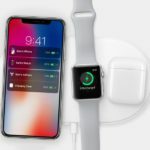 Leaks on the Internet suggest that it will feature the same magnetic smart connector as its larger sibling, as well as 4 speakers, the A9x CPU and the Apple Pencil. That might warrant a name change to “iPad Pro” too, although I can’t help thinking that the iPad Air name might stick around for a while yet. 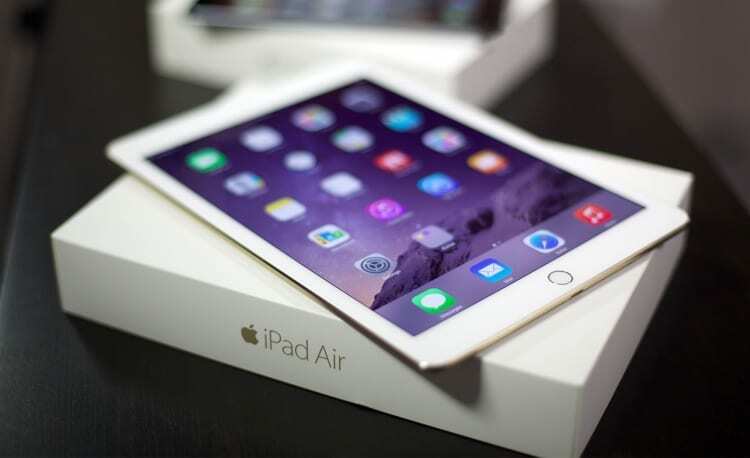 Any update to the iPad Air will be welcome, but the addition of features borrowed from its big brother will be very welcome. Apple Pencil has been lauded as a truly great input device, and certainly makes the iPad Pro a much more versatile and powerful tool, especially for anyone keen on design and creativity and certain enterprise markets. Despite the fact that Apple generates the lion’s share of its revenue from the iPhone, and to a lesser extent iPads, the Mac lineup is still a multi-billion dollar business and is a core part of the firm’s product lineup. After all, Macs and iPhones play so nicely together that their premium computers are a natural fit for anyone invested in the Apple ecosystem. 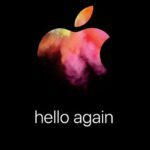 Since the switch to Intel CPUs some years ago now, Apple has been restricted somewhat in its timing of Mac updates – mainly because it’s waiting on the latest chipsets to be made available from Intel. That means sometimes agonising waits to get the latest and greatest machine. What could Apple update in terms of the Mac line? Intel’s “Skylake” chipset should finally make its way into almost every Mac computer, giving significant power efficiency improvements and modest performance gains. But besides better and faster chips, it would be great to see a total redesign of the slightly long-in-the-tooth (but still excellent) MacBook lineup. How about taking some cues from last year’s MacBook and making everything thinner and lighter, dropping USB altogether and instead going with a couple of USB-C ports? It would also be great to see the MacBook’s butterfly key mechanism adopted on every Mac, as well as more colours across the range like the Space Gray and Gold. Now might also be a good time to add a TouchID fingerprint sensor to the MacBook trackpad or elsewhere on the chassis, if it could near-invisible and seamless – let’s do away with passwords altogether! 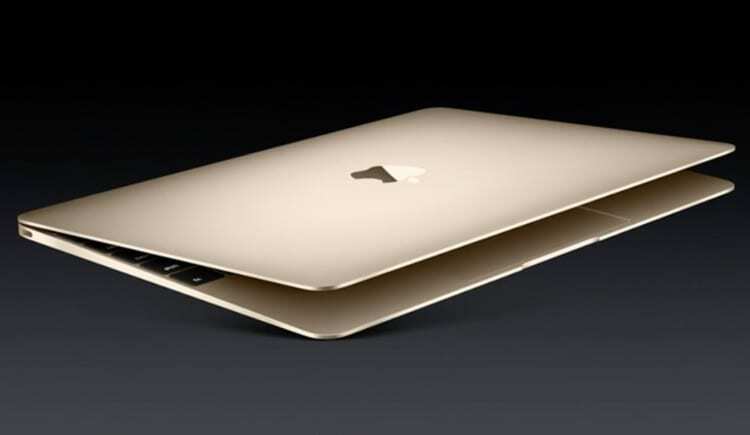 It’s also about time that the MacBook Air lineup be dropped altogether – the machine is actually heavier and thicker than the standard MacBook, and has a lower quality screen. With an updated MacBook in the works, nobody would miss the MacBook Air and it would simplify the rather confusing product lineup. While we’re on the subject of Macs, shortages in supply of Apple’s cinema display suggest that a new 4k or 5k display might be in the works, using the same panel as found in the high-end iMac. It’s about time too, but it might just be too much to hope for. 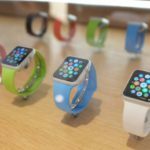 Apple is almost certainly planning to release the Apple Watch 2 this year, however it’s extremely unlikely we’ll see the new and improved model revealed at Monday’s event. 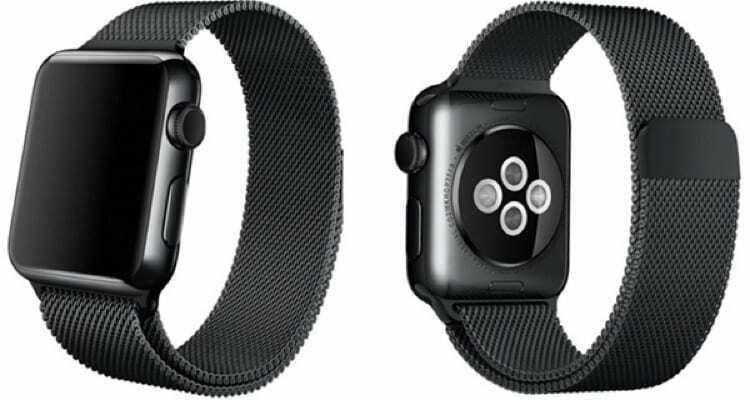 What is more likely is the introduction of several new Apple Watch bands (leaks suggest that a space grey Milanese Loop band is in the cards) and possibly a new design partnership or batch of special edition models to tide us over until a completely new model arrives later in the year. There is also a slim change that watchOS 3 might given stage time on Monday. Unfortunately, new software and operating systems are usually held back until WWDC in June, so don’t hold your breath on this one. It’s fair to say that there’s not really that much to get excited about as far as Monday’s event goes. A new iPad would be welcome, and the iPhone 5 SE would certainly fill a niche and help to grow Apple’s customer base. On the whole, you can expect some solid product news and worthwhile incremental updates but little in the way of revolutionary new hardware, at least for the time being. If you’re due a new Mac, iPhone or iPad though, it’s worth waiting to see what changes Monday brings if you are after a faster, better, and more powerful iDevice. 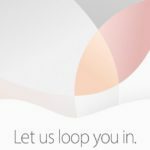 You can watch Monday’s Apple event live online at the Apple website or download the Apple Events app on your Apple TV. Will the iPhone 7 live up to the hype?